Denmark's location makes it an excellent gateway to the rest of Scandinavia and Europe. Berlin is just an hour’s flight away. London and Paris can be reached in less than two hours, and Barcelona, Rome, Vienna and Prague are all just a few hours away. Denmark also has excellent transport infrastructure, which makes it easy for you to explore the nation’s scenic countryside and national parks in your free time and holidays. Denmark consists of the peninsula of Jutland and an archipelago of 433 named islands. All 72 inhabited Danish islands are connected by ferryboat service or bridge. The two largest and most densely populated islands are Zealand and Funen. Denmark has two mega-bridges – one connecting Funen and Sealand (the Great Belt Bridge) and one connecting Copenhagen and the Swedish city of Malmö (the Öresund Bridge). Both are among Europe’s biggest. Bridges also connect other Danish islands, including the bridge between Jutland and Funen (the Little Belt Bridge). The Danish motorway network now covers 1,111 km and the railway network totals 2,667 km of track. You can travel to most cities by train, bus, or ferry. Copenhagen has one of the world’s most efficient metro systems – a fully-automated system operating 24/7. Denmark has several international airports, the largest of which are Copenhagen and Billund. 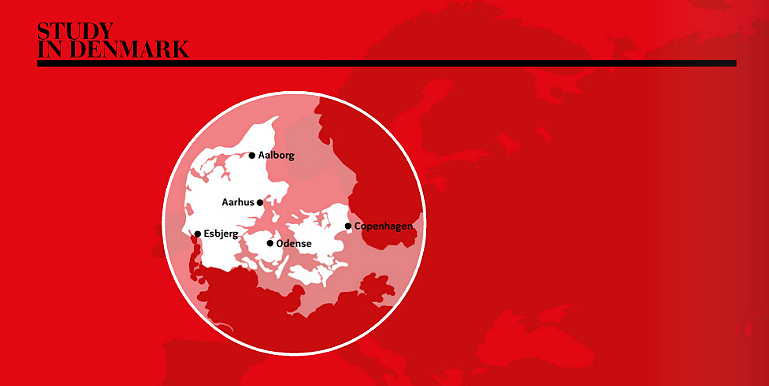 There are also domestic flights between Copenhagen and the cities of Aalborg, Aarhus and Rønne. Train: There is a train station under terminal three, which is served by airport shuttle trains and intercity trains. Travel time to the city centre: approx. 12 min. There are also trains to Malmö in Sweden and high-speed trains to the Swedish capital, Stockholm. Metro: Line M2 links the airport with the city centre. Travel time to the city centre: approx. 15 min. Bus: Movia buses 5A, 35, 36, and Gråhundbus line 999 all stop at the airport. Bus 888, the express to Jutland, also stops at the airport. Movia bus 2A stops near the airport. There are long-distance buses to Sweden. Car: The airport has 8,600 parking spaces. The E20 motorway goes right by the airport. Junctions 15, 16, and 17 are the best exits. Taxi: A taxi fare to the city centre costs around DKK 200,00 (€27). The ride takes around 15-20 minutes, depending on traffic conditions. So taking the metro is faster – and cheaper. Bus: There is an airport shuttle bus service. By taxi: There are taxis available outside the terminal building. The fare is around 300 DKK (€41) and takes approximately 30 minutes. By bus: There is an airport shuttle bus service. Also, route 212 between Ebeltoft and Randers stops at the airport. Ferries provide services from Denmark to Germany, Sweden, Norway and the UK. There are 350 km of cycle lanes and 40 km of parkland cycle routes. This equals the entire length of Denmark. The city’s bicycle infrastructure is state of the art – with green waves and special traffic regulation for bicycles. You MUST register your vehicle in Denmark (changing your domestic registration plates to Danish registration plates) from day one and pay registration tax (proportional (quarterly) tax to be paid). Use application form: 21.033 EN. You CAN apply for permission to drive your vehicle in Denmark keeping your domestic registration plates without paying Danish registration tax. Use application form: 21.059 EN. The price for applying for this permit is of 400 DKK! You MUST on demand show documentation issued by your institution that you are enrolled as a student (including time of stay: starting date and completion date). This documentation must be shown on demand to tax officers or police. Make sure that your insurance is valid in Denmark including Danish liability insurance requirements. The Danish train company DSB carries some 157 million passengers every year and operates approx. 80 per cent of passenger train services in Denmark.